How do you teach maths fast? I don’t know the answer to this. Most of us ‘learned maths’ (or math as some people call it) a long time ago. Maths basics seem easy now – so how do you teach it? Are maths worksheets the answer or is it all up to the teacher? Well I can certainly remember that lots of different approaches to teaching maths certainly confused me. Different teachers teach different methods: different maths schemes teach different methods: fashions change. However, there seem to be some things that stay the same. The same sort of maths questions pop up in tests over the years. We all need the same sort of maths skills, despite a rapidly changing world. Even though the application of these skills is changing*, the basic needs remain the same. We still need the same four number operations: people need still need to add; taking away or subtraction is still a thing; multiplying and dividing don’t seem to have gone out of fashion either. Along with that, missing number problems (I have the answer but what’s the question?) is still very much necessary. The demand for classroom resources for maths practice, or a practice tutor, or even a homeschool resource is stronger than ever. The K-12 curriculum and in the UK the SATS preparation for children in Year 6 (5th Grade) mean that web sites advertising free printable math worksheets or maths homework are dominating search results. As I’m sure you know, despite the easily available technology that helps us to solve arithmetic problems, the need to understand maths concepts is still with us, in fact in a more ‘advanced’ and faster-paced society, I would argue that, in many ways, being able to picture maths in your head quickly and make a few rough calculations in your mind is probably even more useful than ever. More than that, a knowledge of fractions and percentages is now seen as expected. A few years back, you would hardly ever need to deal with large numbers. The only time I ever encountered the idea of ‘millions’ was when talking about population. Now there seem to be a lot more billionaires than there used to be. Company assets are in the billions, as are YouTube views. People are regularly dealing with larger numbers. The need to be able to get your head around place value is a necessary as ever. But more than ever, we need to be able to do things quickly – and that doesn’t just include ‘doing’ maths, it includes learning maths. There are very few people these days who have the time or patience to spend hours for years and years learning to do something. Everyone wants to pick up skills quickly – and it’s frustrating when you can’t! You should be able to pick maths up quickly and you should be annoyed when you can’t. Compared to a lot of things that we do in our lives, solving a few maths questions -at least the simple calculation ones- are actually quite simple. Teachers or tutors really have to go some to confuse their students. Different experts have different opinions about how maths should be taught. Some say that learning maths facts is key, whist others strongly disagree. 1) Not allowing enough time to practise. A teacher tells their pupils, often quite young children, how to do it. This oration will commonly drag on and on, boring everyone to tears, often to the accompaniment of a few interactive whiteboard resources. 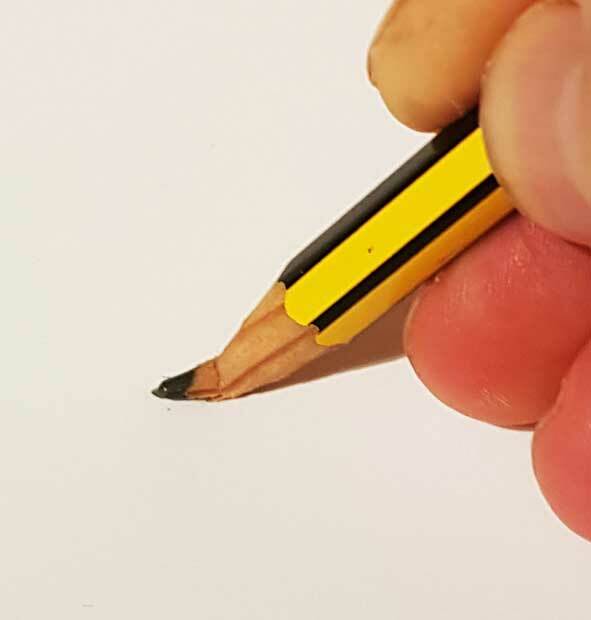 To stretch things out a bit, they might even get a student to have a go and will then stop them as soon as they get it wrong and ask the other students what the mistake is. This leaves more able students bored and less able students confused. There’s no clear set of instructions and the result is the motto: Well with maths, some people can do it and some can’t. 2) Practising the same complexity of question over and over again. 49+31= 53+23= 21+76= 32+43= etc. etc. etc. Why can’t we stretch our children? What’s wrong with giving them work tailored to their abilities? Why can’t we say, ‘Okay you can do these. Have a go at these?’ Would you teach someone to drive by making someone drive up and down as straight road a hundred times? I guess it’s all down to preparation, resources and a belief in the potential of your students. We can help to get people over their fear of maths. Let’s keep it simple. Hopefully these resources will go some way to help with this. To sign up for Premium membership, click here or using the Get Premium button from the bottom menu. This help guide will show you how to use all of the features of the multiply page on keymathskills.com to make sure that you get the best out of the site for pupils at school or at home. Tutors, teachers, or students can customize each page to generate basic drills to help them to learn to compute the basic mathematics operations. 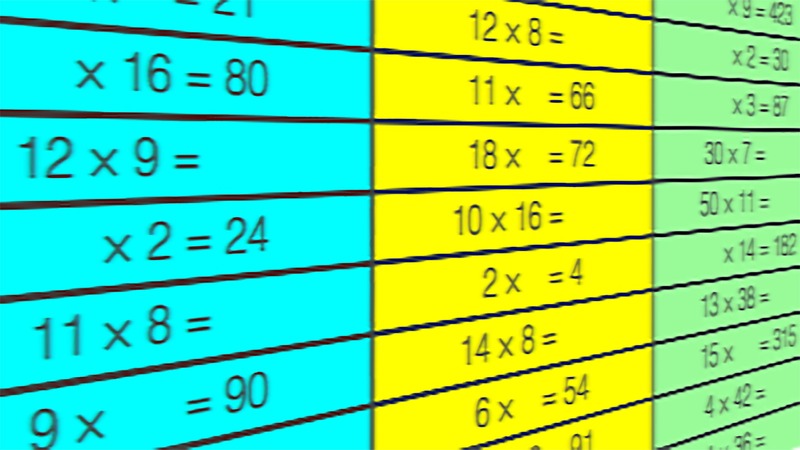 Click the numbers to generate the type of multiplication question or times tables. You can also generate random times tables from 2 to 10, 2 to 12, or 2 to 20. 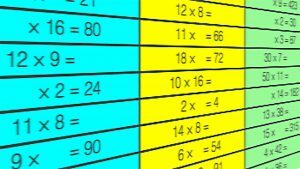 Click here to get to the other pages on the site: multiply, factors, add, percent, x10x100x1000 and fractions. Please note: the multiply page is free, but the other pages are available only in demo mode unless premium content is purchased. There are many ways to use the buttons here to customize the way that you, or your students, see the questions. Multiplier: change the type of multiplication questions. Answers: show the answers. Click again to hide the answers. Normal: change the practice questions to conventional maths 'sums'. Inverse: Inverse only questions. This is a good way to teach and practise division. Level: Click on the numbers to change the levels of the 3 columns. This changes the way that the page looks on the webpage or interactive whiteboard to help you to provide differentiated resources for students of all abilities. Click on each number to display that ability level. You can print out free maths worksheets by using the print button on your browser. Selecting 'landscape' from your browser menu will give the best results.